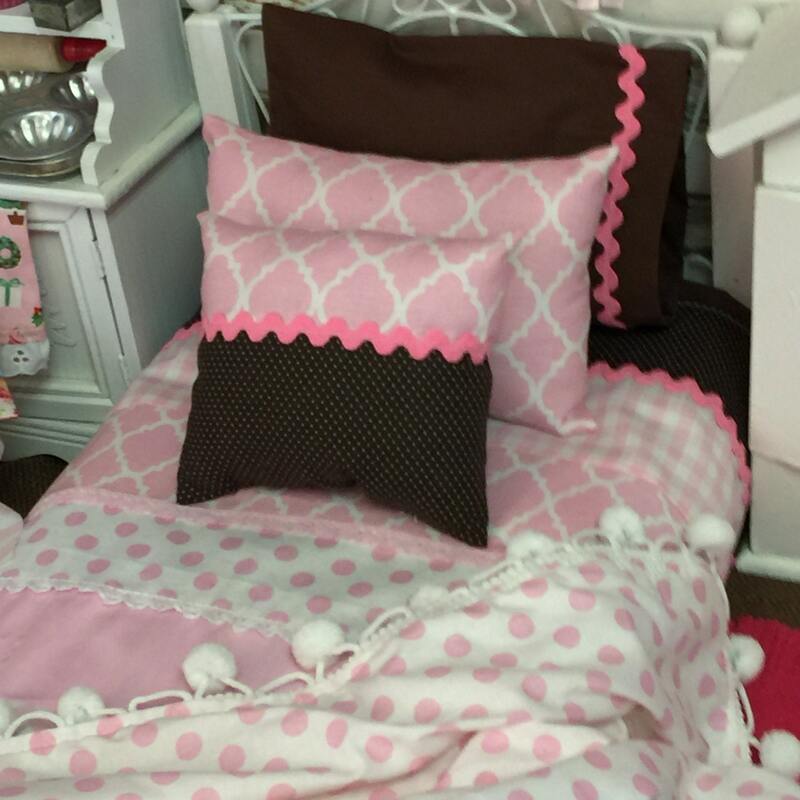 This wonderful bedding pattern for this set is so simple to make. Strips of coordinating fabric are sewn together to make this beautiful Strip Quilt. A Pompom throw for the end of the bed or just for snuggling in. 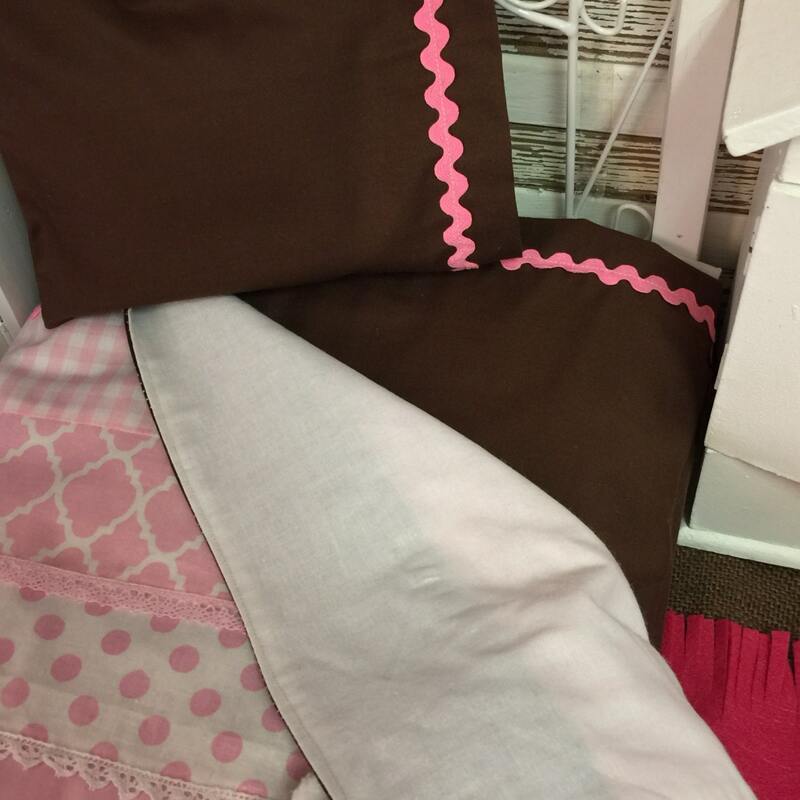 Included in this pattern are directions for making a flat sheet with rick rack, a matching pillowcase, rectangle pillow shams, and a decorative accent pillow. 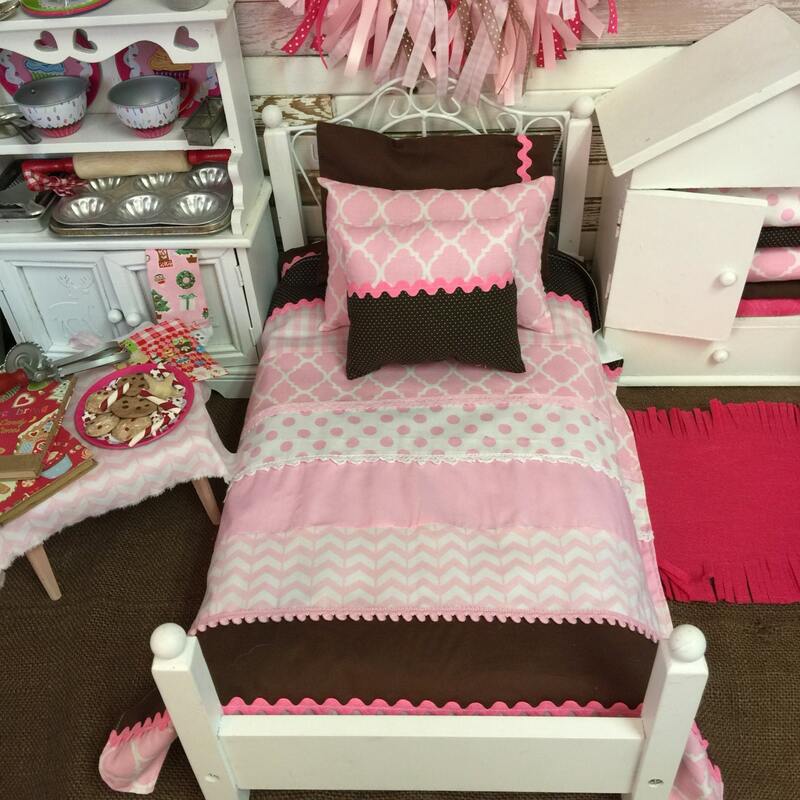 Any color scheme would work, holiday colors, or an all white color scheme too. The pattern is easy, and is quickly put together. 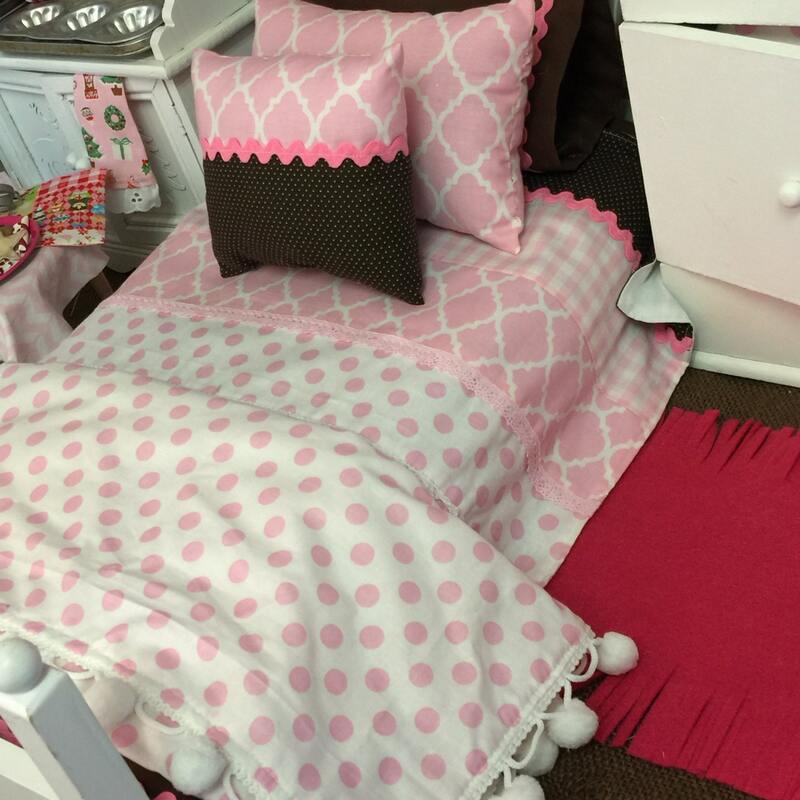 I also share decorating tips and ideas for putting together a doll room, or doll vignette. This pattern is rated easy. You will not be receiving anything physical in the mail. This is a downloadable file that you will receive a link to once payment has gone through. Once you have the link, you can click on it, save it and use it or even print it out if needed. 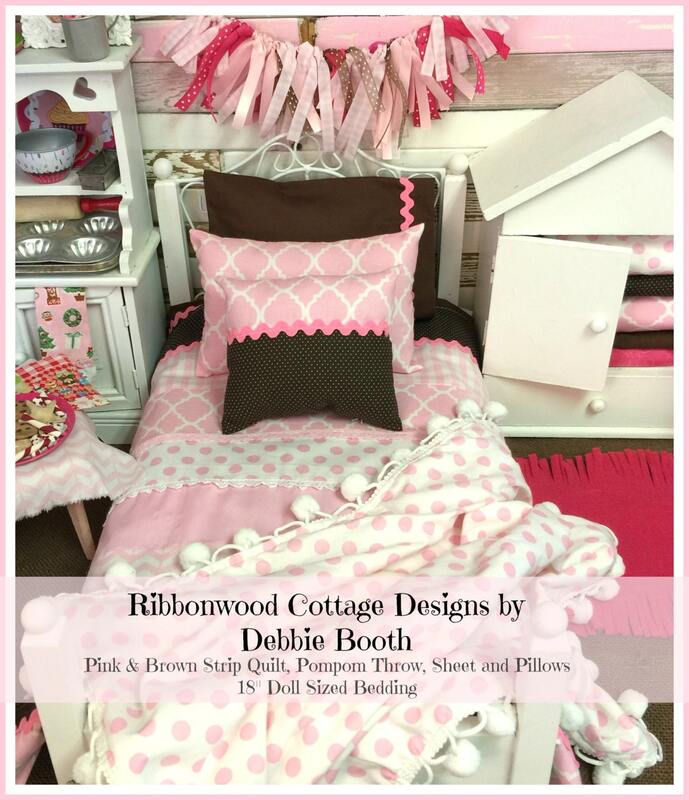 Please use the hashtag #ribbonwoodcottage or #ribbonwoodcottagedesigns if sharing your creations with us on social media. I would love to see the color schemes you use when making this pattern.